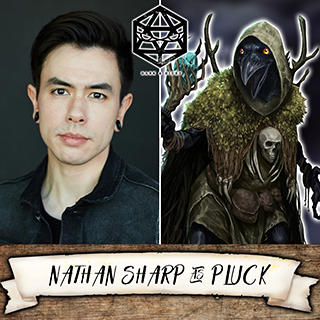 Dark & Dicey streams every Monday on the D&D Twitch channel (twitch.tv/dnd). Dark and Dicey is a villain campaign centered around a group of ne'er-do-wells who have shipwrecked on the Blacksteel Isles, a rich island nation where the wealthy control everything while the impoverished are left with nothing. Whether it be regaining lost ones, saving an entire nation or finally coming to terms with the monster within, they'll journey to find the answers to each of their personal hardships while coming face to face with a tyrannical Mageocracy that seeks to crush the disenfranchised under their heels. Will our villains be able to cast off the past and embrace their future? Could there be redemption? Or is looting from Nobles just too much fun? 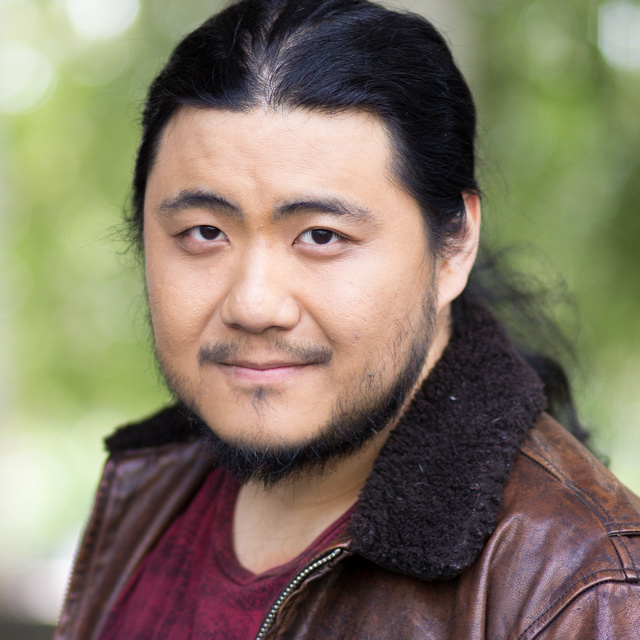 Kaiji Tang is a voice actor currently based in Los Angeles, California. He comes from a foundation of eight years' worth of theatrical training before he transitioned into on screen commercials and then, ultimately, voice acting. Kaiji has been working ever since, becoming involved with many video games, cartoons and movies. Twitch streamer, YouTube content creator, and co-host of The Salty Dog podcast. 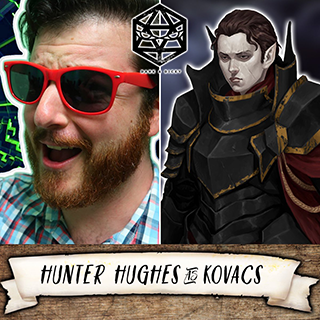 Hunter plays a half-elf oathbreaker paladin named Kovacs. 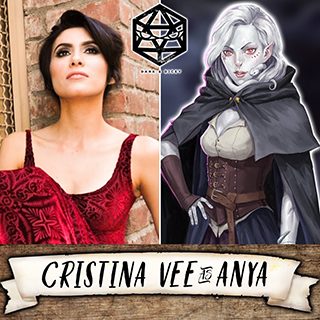 Cristina Vee is a voice actress from Los Angeles, who has voiced over 100 characters in both animation and video games. She plays a yuan-ti pureblood named Anya. Anna Brisbin is a voiceover and screen actress/YouTuber. 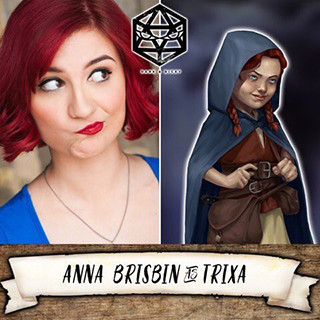 She plays a lightfoot halfling named Trixa. 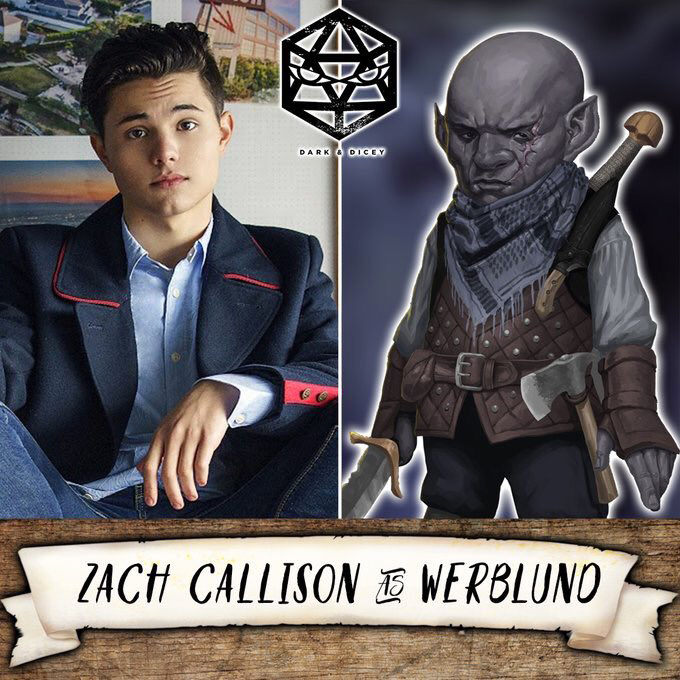 Zach Callison is a Los Angeles-based musician, voice actor, content creator, and actor (including “Steven” in Steven Universe, as well as villain “Chuck” in Amazon Studios’ Just Add Magic). Audiences have heard him sing on a variety of projects, including the Emmy-winning Sofia the First soundtrack and Steven Universe Soundtrack: Volume One, which hit the number one spot on the iTunes charts. He plays a deep gnome named Werblund.